Marketman was founded five years ago on the idea that restaurateurs needed a deeper look at their back-of-house operations. Specifically, the management system was created to provide detailed and data-backed insights regarding purchasing, inventory and menu costing. One of the leading functions of the system involves accurate menu planning. This feature was designed so that restaurateurs can get better insights on their costs and have an easier time tracking inventory and analyzing things like which items are yielding the most gross profit, which items need adjustments and which ones should be taken off the menu. Since its launch, operators utilizing the MarketMan platform — specifically the menu planning feature — have realized that the tool is the most reliable and up-to-date repository of all of their recipes. 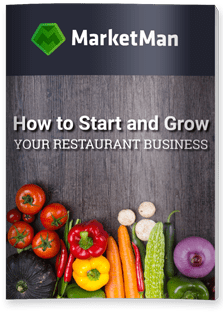 In fact, it became a growing trend for MarketMan customers to print the information in the menu planning tool and use it for employees and franchisees in training to better learn the menu. That’s why MarketMan decided to develop a tool that could be used for these purposes without the worry of spillage on printed paper – the Cookbook. To utilize the program, employees can simply search for a specific menu item, like “candied bacon.” On the page, they will find the preparation time, cook time and the amount of time the product takes to be completely prepared. Employees can find the ingredients including quantity and unit type of each ingredient, as well as a detailed procedure of how the item is to be prepared. Franchises or employees in training will also find an image of the completed menu item on the page as a reference of how the final product is to look.